October 5, 2017, Cleveland: In a newly published study, Cleveland Clinic researchers have uncovered differences in the bacterial composition of breast tissue of healthy women vs. women with breast cancer. The research team has discovered for the first time that healthy breast tissue contains more of the bacterial species Methylobacterium, a finding which could offer a new perspective in the battle against breast cancer. Bacteria that live in the body, known as the microbiome, influence many diseases. Most research has been done on the “gut” microbiome, or bacteria in the digestive tract. Researchers have long suspected that a “microbiome” exists within breast tissue and plays a role in breast cancer but it has not yet been characterized. The research team has taken the first step toward understanding the composition of the bacteria in breast cancer by uncovering distinct microbial differences in healthy and cancerous breast tissue. “To my knowledge, this is the first study to examine both breast tissue and distant sites of the body for bacterial differences in breast cancer,” said co-senior author Charis Eng, M.D., Ph.D., chair of Cleveland Clinic’s Genomic Medicine Institute and director of the Center for Personalized Genetic Healthcare. “Our hope is to find a biomarker that would help us diagnose breast cancer quickly and easily. In our wildest dreams, we hope we can use microbiomics right before breast cancer forms and then prevent cancer with probiotics or antibiotics.” Published online in Oncotarget on Oct. 5, 2017, the study examined the tissues of 78 patients who underwent mastectomy for invasive carcinoma or elective cosmetic breast surgery. In addition, they examined oral rinse and urine to determine the bacterial composition of these distant sites in the body. In addition to the Methylobacterium finding, the team discovered that cancer patients’ urine samples had increased levels of gram-positive bacteria, including Staphylococcus and Actinomyces. Further studies are needed to determine the role these organisms may play in breast cancer. Co-senior author Stephen Grobymer, M.D., said, “If we can target specific pro-cancer bacteria, we may be able to make the environment less hospitable to cancer and enhance existing treatments. Larger studies are needed but this work is a solid first step in better understanding the significant role of bacterial imbalances in breast cancer.” Dr. Grobmyer is section head of Surgical Oncology and director of Breast Services at Cleveland Clinic. The study provides proof-of-principle evidence to support further research into the creation and utilization of loaded submicroscopic particles (nanoparticles), targeting these pro-cancer bacteria. Funded by a grant from the Center for Transformational Nanomedicine, Drs. Grobmyer and Eng are collaborating with investigators at Hebrew University to develop new treatments using nanotechnology to deliver antibiotics directly to the bacterial community in breast cancer. 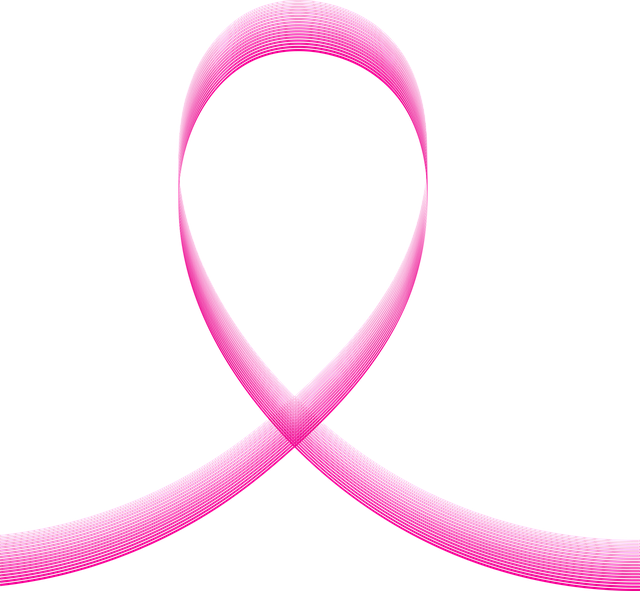 Breast cancer is the second most common cancer in women (after skin cancer) in the United States, where 1 in 8 women will develop the disease in their lifetimes. The study was funded by a Clinical Research Mentorship Award from the Doris Duke Charitable Foundation, The Society of Surgical Oncology Foundation, Cleveland Clinic’s Taussig Cancer Institute, Earlier.org, and Randy and Ken Kendrick. Dr. Eng holds the Sondra J. and Stephen R. Hardis Endowed Chair of Cancer Genomic Medicine at Cleveland Clinic. Cleveland Clinic is a nonprofit multispecialty academic medical center that integrates clinical and hospital care with research and education. Located in Cleveland, Ohio, it was founded in 1921 by four renowned physicians with a vision of providing outstanding patient care based upon the principles of cooperation, compassion and innovation. Cleveland Clinic has pioneered many medical breakthroughs, including coronary artery bypass surgery and the first face transplant in the United States. U.S. News & World Report consistently names Cleveland Clinic as one of the nation’s best hospitals in its annual “America’s Best Hospitals” survey. Among Cleveland Clinic’s 51,000 employees are more than 3,500 full-time salaried physicians and researchers and 14,000 nurses, representing 140 medical specialties and subspecialties. Cleveland Clinic’s health system includes a 165-acre main campus near downtown Cleveland, 10 regional hospitals, more than 150 northern Ohio outpatient locations – including 18 full-service family health centers and three health and wellness centers – and locations in Weston, Fla.; Las Vegas, Nev.; Toronto, Canada; Abu Dhabi, UAE; and London, England. In 2016, there were 7.1 million outpatient visits, 161,674 hospital admissions and 207,610 surgical cases throughout Cleveland Clinic’s health system. Patients came for treatment from every state and 180 countries. Visit us at clevelandclinic.org. Follow us at twitter.com/ClevelandClinic. Editor’s Note: Cleveland Clinic News Service is available to provide broadcast-quality interviews and B-roll upon request. The Lerner Research Institute is home to Cleveland Clinic’s laboratory, translational and clinical research. Its mission is to promote human health by investigating in the laboratory and the clinic the causes of disease and discovering novel approaches to prevention and treatments; to train the next generation of biomedical researchers; and to foster productive collaborations with those providing clinical care. Lerner researchers publish more than 1,500 articles in peer-reviewed biomedical journals each year. Lerner’s total annual research expenditure was $260 million in 2016 (with $140 million in competitive federal funding, placing Lerner in the top five research institutes in the nation in federal grant funding). Approximately 1,500 people (including approximately 200 principal investigators, 240 research fellows, and about 150 graduate students) in 12 departments work in research programs focusing on heart and vascular, cancer, brain, eye, metabolic, musculoskeletal, inflammatory and fibrotic diseases. The Lerner has more than 700,000 square feet of lab, office and scientific core services space. Lerner faculty oversee the curriculum and teach students enrolled in the Cleveland Clinic Lerner College of Medicine (CCLCM) of Case Western Reserve University – training the next generation of physician-scientists. Institute faculty also participate in multiple doctoral programs, including the Molecular Medicine PhD Program, which integrates traditional graduate training with an emphasis on human diseases. The Lerner is a significant source of commercial property, generating 64 invention disclosures, 15 licenses, 121 patents, and one new spinoff company in 2016.